Synopsis: It’s 1997. Six high school buddies get together to form a band. Pei, the feisty lead singer, is the heart of the group, and Xiang, the guitarist, harbours a crush on her. On the eve of their graduation, Pei gets to fulfil her dream of moving to and becoming a singer in Japan. Years later, Xiang garners the courage to follow and confess to Pei, only to realise a cruel secret between dreams and reality. The high school buddies gather again in 2017 at a friend’s funeral. After the reunion, Xiang wakes up transported back to 1997, three days after their graduation, and is given the chance to change everyone’s fate. It started with You Are the Apple of My Eye (2011). Besides being well received by film critics, the Taiwanese romance movie also set impressive box office records in Taiwan, Hong Kongand Singapore. 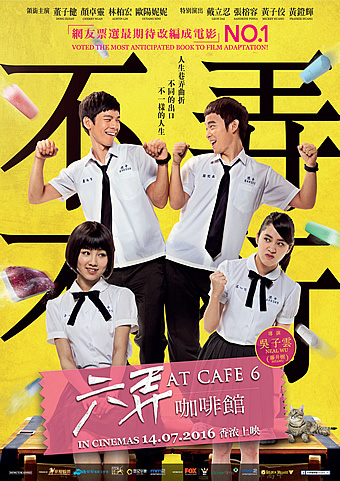 The success of the film directed by Giddens Ko prompted the making of other similar productions like Café. Waiting. Love (2014), Our Times (2015) and At Café 6 (2016). While each of the abovementioned titles has its own draws, are audiences going to embrace yet another film dealing with pursuing dreams and living with regrets? The answer is yes – simply because these are universally faced issues that are poignantly close to our hearts. It also helps that this movie directed by Hsieh Chun Yi is inspired by the songs of the late Taiwanese singer songwriter Tom Chang Yu Sheng. The talented musician, who is known for his reflective and thoughtful songs, died in 1997 at age 31 after a car accident. This movie is also an apt tribute to Chang 20 years after the unfortunate incident. There is some creativity injected into the story. The protagonist young man reunites with the members of his high school band and recalls the fun times they had. The irony is how they have gathered at the funeral of the lead singer of their group, who had died after leaving Taiwanto chase her dreams of being a singer in Japan. After an encounter with a mysterious old woman, our protagonist is transported back in time, where he is determined to stop the tragedy from happening. Arcade games! Neo prints! Idol cards! Japanese manga! Those familiar with the 1990s’ pop culture will adore this film as it takes viewers on a nostalgic filled journey. 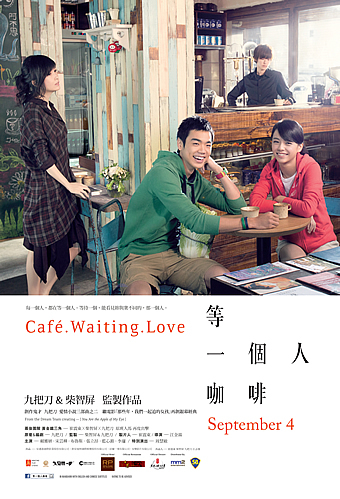 Chang’s songs are also prominently featured throughout the movie. Emotions will swell for audiences who grew up listening to tunes like Take Me To The Moon (带我去月球), Thinking of You Everyday (天天想你), My Future is Not a Dream (我的未來不是梦) and Longing (我期待). Watch out for the particularly moving scene where the leads attend a specially recreated version of Chang’s final concert. 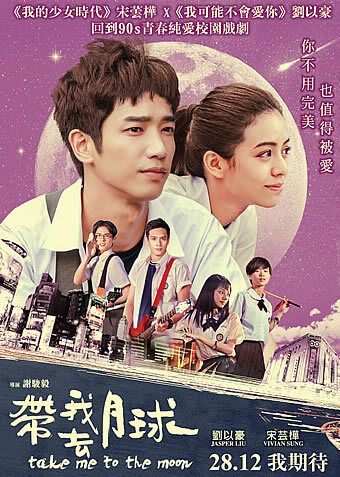 Thirty one year old Jasper Liu, who was a model before stepping into showbiz, takes on the lead role and is surprisingly refreshing to watch (we’ve had quite enough of the rebellious type). The good looker rightly grasps the world weariness of the adult character, as well as the idealism of the high school student character. After gaining popularity with Café. Waiting. 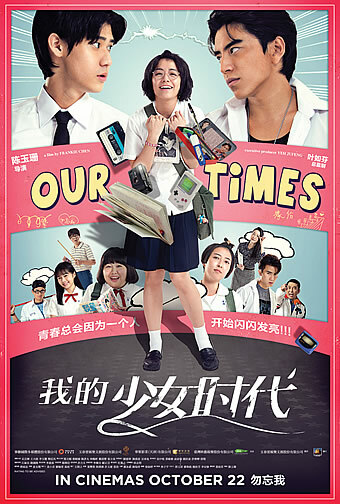 Love and Our Times, Vivian Sung takes on another youth dramedy. While this isn’t very different from the 25 year old’s previous roles, she does a decent job of portraying a character who has to abandon her dreams. Elsewhere, other fresh faced actors Pipi Yao, Peter Lee, Chih Tian Shih and Vera Yen fill up roles of the remaining band members. Veteran Lu Hsueh Feng, who won the Golden Horse Award for her performance in Thanos, Drunk (2015) lends weight to the teenage drama as the woman with seemingly supernatural powers. The 101 minute movie is well paced, and there is never a dull moment. More importantly, it reminds us that life is worth living because it is inevitably filled with dreams and regrets.